Meet Cedar Lake Doodles ” Piper “. 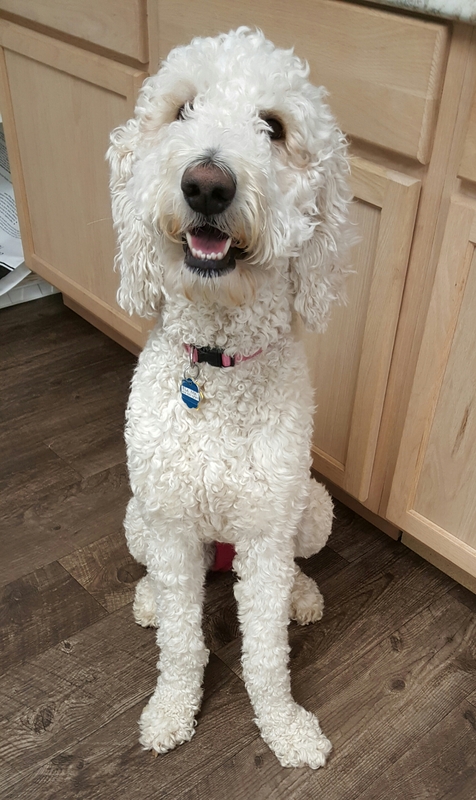 She is a Multigen English cream standard Goldendoodle. She is a future mom who will give us big, gorgeous, English cream puppies with very laid back temperaments. She is health tested for hips, elbows, heart, patellas, eyes, DM, GRPRA1, GRPRA2, PRCD, Ich, MD, NEws, and vWD1. She is 55lbs and 27 inches high.